Raphael Mechoulam has been studying a plant which most researchers will not touch with a barge pole-Marijuana! Raphael has been studying about Marijuana for a major part of his life. Raphael as a young, Israeli, postdoctoral student stumbled onto something which puzzled him. He was surprised by the fact that morphine was isolated as the active component from opium while cocaine was isolated from coca leaves. However the component of Marijuana was not known. The young researcher Raphael Mechoulam, is a well known and highly decorated researcher. However the unusual subject of his research created problems 50 year ago when he started his research. The biggest problem faced by the young scientist was to obtain Marijuana which was a restricted substance and not freely available. Looking at the red tape involved in obtaining the plant legally, the young scientist obtained it illegally. Thankfully, the Israeli government was convinced of his endeavor and did not place any hurdles. 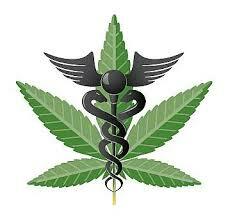 Marijuana has more than 480 natural ingredients and these components work best when used together. Raphael worked at breakneck speed, determining the structure of cannabidiol (CBD) in 1963; isolated delta-9 tetrahydrocannabinol (THC), which was a psychoactive ingredient in marijuana the next year. He and his team continued to isolate more components from marijuana in the following years. His works led to a better understanding of how the drug worked in the brain. His team isolated the first known endogenous cannabinoid and named it Anandamide which is derived from the Sanskrit word Ananda which means bliss. Worst Measles Epidemic in 20 Years, is Anti-Vaccination Drive responsible?